Time 4 Diamonds is much more than just a B2C retail organisation. Our ability to sell pre-owned watches has enabled us to develop a number of long term relationships with manufacturers and authorised retailers across the UK, built upon a mutual understanding and appreciation of good customer service. 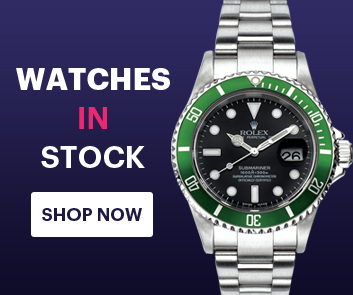 We offer the referral of anyone looking to buy new watches through our site to manufacturers and authorised retailers, as well as being able to accommodate customers of manufacturers and authorised retailers who are looking to part exchange or sell their watches. We have an established network of manufacturers and authorised retailers with whom we share our new watch enquiries. These manufacturers and authorised retailers have been selected according to their ability to provide a high standard of service to the level expected by our customers. If you are a watch dealer and require regular supply of watches then please contact our Management team. If you have taken in pre-owned stock and wish to sell it promptly, please use the Sell Your Watch form below link at the top of the page to receive a valuation. Our Purchasing team will then be able to discuss the options open to you for the sale of your watches plus any future business you may wish to undertake with Time 4 Diamonds. If you have accepted or would like to accept watches from customers in part exchange, we can facilitate the underwriting of these purchases for you. This offers flexibility for your business without any risk on your behalf, as you will have sold the watch before it has been bought. Please contact us to discuss this option further with our management team. When you sell a new watch, you can have the option to offer your customer a buy back guarantee, underwritten by us. If the customer later decides that they wish to sell the watch, we will then underwrite its purchase, enabling you to meet the customer's needs for a new purchase. Please contact us to discuss this option further. Time 4 diamonds can offer you Diamond setting service’s through our gold smiths and our expert watch makers who are in house and can create bespoke products or master pieces in our state of the art modern work shop. This enables you to offer new services to your existing clients. Please contact us to discuss this option further with our management team.